The results of a recent study have shown that people with learning disabilities face barriers to wellness lifestyles but can achieve better weight loss by using the right techniques. The research was conducted by a team at the University of Sheffield. They worked in partnership with Slimming World, a weight loss company in the United Kingdom. 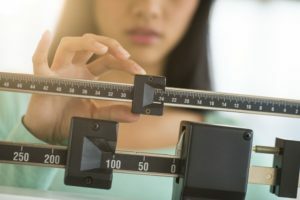 The research determined that when you have a learning disorder, there are many additional challenges that you can face to managing a healthy weight. Moreover, even when a learning disability is within the mild to moderate range, the individual has a greater obesity risk than the general population. The same goes for having poorer overall health. Therefore, the researchers investigated ways to achieve better weight loss among this higher risk group. This study received its funding from the Medical Research Council (MRC). Is findings included a number of unexpected barriers that can stand in the way of health and weight management among people with learning disabilities. As a result, their strategies to achieve better weight loss would need to cater to those unique struggles. Among those challenges included anxieties about going to a new place. These will frequently stop people who have learning disorders from going out and attending groups – such as weight loss programs and support groups – in person. Without that added support, they’re missing out on a highly effective tool to assist them in improving their overall health and keeping their weight under control. After all, achieving better weight loss is hard for the vast majority of people. When your resources and tools become more limited due to additional challenges, this can only make it tougher to reach a goal. Creating additional complementary information to provide support workers and family caregivers that describe the strategy and underscore the importance of their involvement. Slimming World tested the adapted program for considerable success in a limited feasibility study.